Direct Online Marketing specializes in online marketing services including in search engine optimization, pay-per-click, search advertising, social media, display advertising, and analytics. 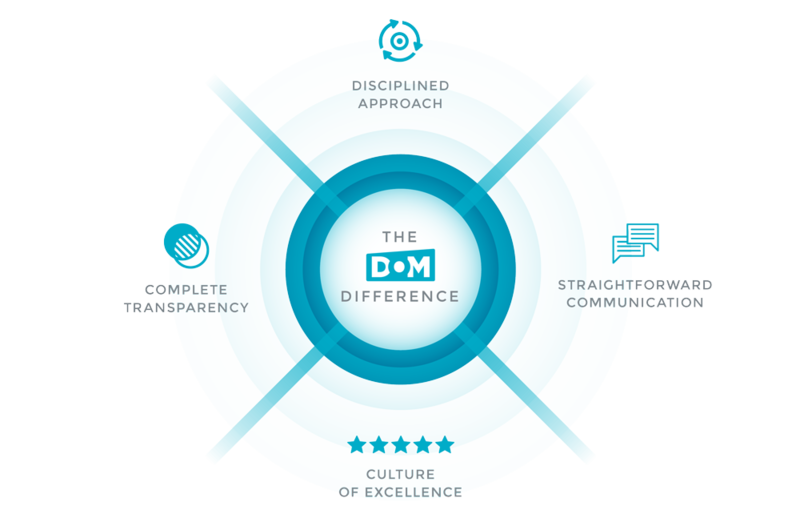 The DOM Difference™ is a collection of Direct Online Marketing’s proprietary best practices to developing digital marketing solutions. These best practices include a disciplined approach to developing tailored solutions, honest straightforward communications, complete transparency, and a culture centered around excellence. Direct Online Marketing is a Google AdWords Premier Partner, and Bing Ads Accredited Professional. The DOM Difference™ is disciplined in that each project follows the same important steps to identify best solutions.